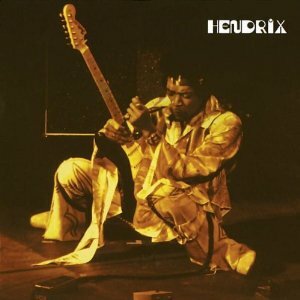 What Are The Best Blues Rock Live Albums? What are the very best blues rock live albums ever? Please vote in my poll and we’ll find out. 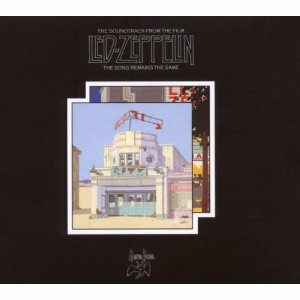 Led Zeppelin are definitely blues rock rather than blues, so are Cream, Jimi Hendrix and prime time Rolling Stones. Further down the page is a poll that gives you a chance to vote for what you think are the best blues rock live albums from those that appear to be most often recommended. I’ve started to give you my thoughts, not to influence you but to inspire you. While I have nominated albums in different categories, in this section I try to only select an album once so a Led Zeppelin album won’t appear here and in hard rock. Controversially, it won’t appear in either. That’s partly because I believe the timing of the live recording is important since it needs to feature their best songs. My favourite Zeppelin studio album is Physical Graffiti and until we get a release from the 1975 tour (or later), I’m not going to be satisfied. Who must I include in my pick of five albums? First I’ll eliminate The Allman Brothers Band and the other southern rock bands. They have their own category although some are bluesier than others. Jimi Hendrix and The Rolling Stones are musts. Both have been essential components of my music collection for more than 40 years. The problem is which concert recordings to choose. Another staple of mine is Van Morrison. Will he squeeze into my selections for the top singer songwriter live albums? Possibly but perhaps not with his bluesiest of albums. That means my first choice here is a souvenir from his 1973 tour. The head says it should be It’s Too Late To Stop Now Vols 2,3 and 4 but my heart says I’ve loved the original It’s Too Late To Stop Now album for so many more years and that’s the album that gets the selection. It misses out on a lot of songs but it also avoids the repetition. I normally like to add in something unusual, if I think an album is good enough. That’s no problem in this category where Live At The BBC by Jess Roden is one of my all time favourites. One of the finest of British singers serves up a stew of blues rock, soul and funk. It might be too diverse for some blues rock fans but I love it. The two 1970s albums by the J Geils Band are excellent, it seems strange not picking a Clapton album but I don’t think there’s one that makes the grade. Very good but not top 5. I like Gary Moore as a guitarist and singer and he has released some really good live albums.Rory Gallagher is unlucky to miss out but I don’t seem to turn to his albums very often. I think I need to find the CDs and put them in my car. My choice however goes to Fleetwood Mac when Peter Green was their leader. The album called Boston brings together three volumes that were originally released separately. Instead of having to choose, you can have everything. The Stones album choice is relatively simple. I want Mick Taylor as the lead guitarist and I thought he was a bit tentative on Get Yer Ya-Yas’s Out as he was very much the new boy. Ladies and Gentlemen from 1972 has been available as a DVD for a few years but only in 2017 has it been released as a CD. The DVD was criticised for the mix with little bass and I don’t know if this has been fixed. This leaves Brussels Affair 1973 as the one I’m going to choose. Long recognised as a great bootleg, it was released as a digital download from by the Stones own website a few years ago, and then irritatingly taken away for European and American audiences. An excellent performance where even the Goats Head Soup songs sound good. That leaves me with the Jimi Hendrix conundrum. The two most recommended and included in the blues rock poll are Monterey from 1967 and Band of Gypsys/Live At The Fillmore from the new years concerts as 1969 turned into 1970. two essentials and, if I was forced to choose, I’d pick the 1967 recording, even though it’s a bit short. However I’m going outside of these two to consider the four CD 1968 Winterland recording and the Berkeley recording from 1970. I can imagine on a different day I might change my mind, but today I’m going for Berkeley. Now it’s your turn and I’d like you to cast your vote in the poll but also feel free to share your thoughts with the world by leaving a comment at the bottom of the page, especially if you believe that I’ve missed an essential blues rock album from the poll. Let’s have a look at who I’ve nominated and if I’ve missed an important blues rock live album out, please let me know by leaving a comment. You can vote for up to FIVE of your favourites. First I’m delighted with how many people have cast their votes. It’s over 180 people so far which means these results should be a valid and reliable pointer to great blues rock albums. I’ve asked blues rock fans to select five albums. It’s tough to narrow down the choice that much but I want to find the albums people think are the very best. With recommendations from 43% of the voters, Live At The Fillmore is the clear front runner of this poll. 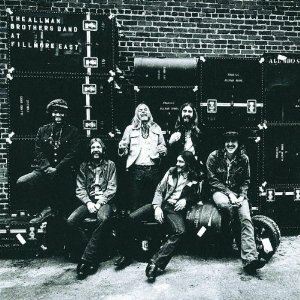 It’s regarded as a classic live album and it’s also doing very well in the poll to find the best Southern rock live albums. 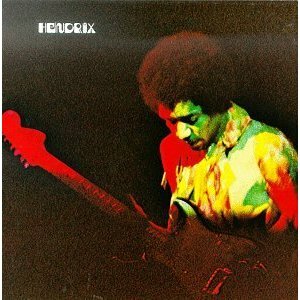 The original six song Band Of Gypsys album is well known. You may not know that it’s been extended to sixteen songs recorded on those nights when 1969 turned into 1970 and called Live At The Fillmore. I think it’s made a great album even better. Together they’ve been recommended by 27% of the voters. 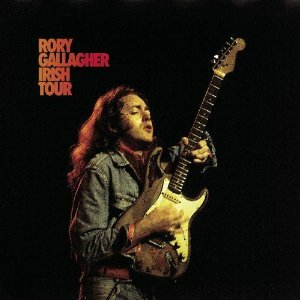 I’m delighted to see Rory Gallagher so high up this list with the excellent Irish Tour album. This has received recommendations from 25% of the voters. This has also been recently extended to give you the option of getting the Dublin, Cork and Belfast performances. 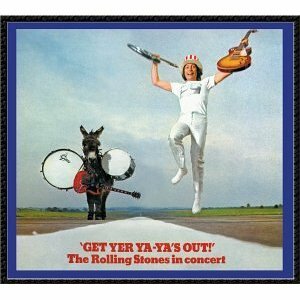 With recommendations from 24%, we have the Stones moving into the Mick Taylor era with Get Yer Ya Yas Out. It’s another album that’s been extended with a few extra songs by The Rolling Stones and the support sets from BB King and Ike & Tina Turner. 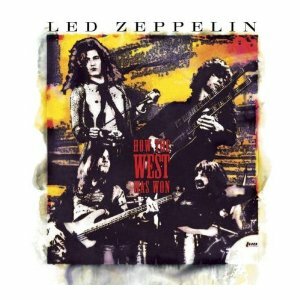 How The West Was Won and The Song Remains The Same have split the Led Zep fans with recommendations from 23% and 22% respectively. The extra tracks have improved what I originally thought was a disappointing album from Zeppelin when The Song Remains The Same first came out. Personally I prefer the 1971 concert captured on the BBC Sessions album. It’s less bloated and they were previewing songs from Led Zep 4. It seems strange to think of a time when no one knew Stairway To Heaven. 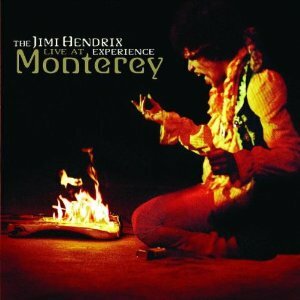 Live At Monterey is a classic from 1967 as America learnt to love Hendrix. It was recommended by 17% of the voters and, if I was forced to choose, I prefer this to the Band Of Gypsys concerts. 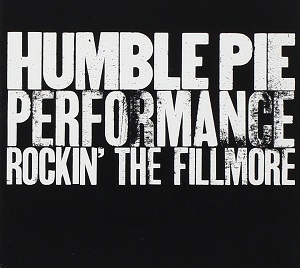 One vote behind and still with 17% of the votes comes Performance: Rockin The Fillmore by Humble Pie. Steve Marriott and Peter Frampton have a lot of fun on this album. The Rolling Stones have released an authorised digital copy of the fantastic Brussels Affair from 1973 with Mick Taylor stealing the show although it veers more towards hard rock than blues rock. It was recommended by 14% of voters. I’d love to hear some more concert recordings from the Sticky Fingers and Exile On main Street tours. 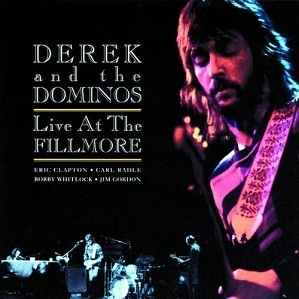 Duane Allman didn’t tour with Derek And The Dominos but Live At The Fillmore is still a terrific blues rock album. It was recommended by 13% of the voters. Just outside the top ten were Waiting For Columbus, One More From The Road and It’s Too Late To Stop Now. I think that’s a very good top ten and of course you can see more results (and more up-to-date) on the actual poll. I wonder how it will change when the number of voters doubles. Let me know if you think my readers are getting it right. If not, why not? You can see the complete list at Live Album Polls. This entry was posted in Best Live Album Polls, Blues Live Albums, Blues Rock Live Albums by Paul Simister. Bookmark the permalink.